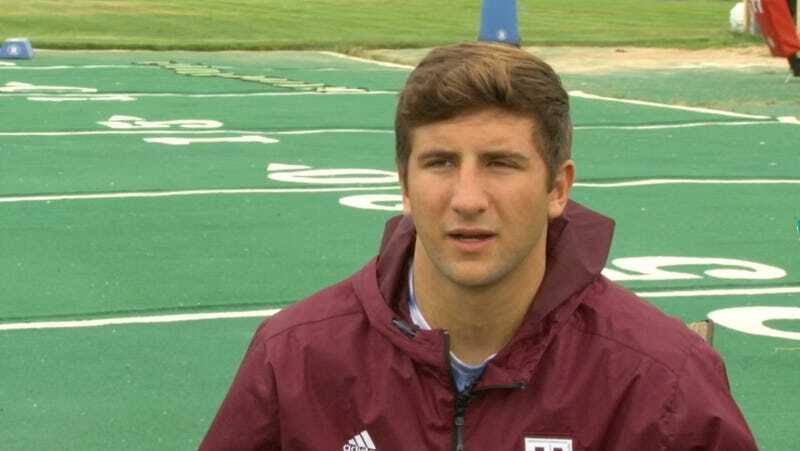 Texas A&M Whistleblower Santino Marchiol Booted By Arizona After Video Surfaces Of Him Calling Black Players "Monkeys"
Texas A&M Whistleblower Booted By Arizona After Video Surfaces Of Him Calling Black Players "Monkeys"
Until a few days ago when it was discovered then quickly deleted, Marchiol’s Hudl page featured video of an Aggies scrimmage in April. The background of the video features a voice referring to one player as “one of those monkeys” and then another as “the monkey safety.” Kevin Sumlin declined to say why Marchiol had been kicked off the team, though ESPN reports it was because of the video. As someone who helped lead the effort to advance diversity in the legal profession, served on the National Urban League board, and worked closely with people like Dennis Archer, Rev. Al Sharpton, and other prominent African-American leaders, I understand and respect the University’s decision. On the other hand, as someone who’s grown close to Santino and who knows the quality of his character, the depth of his faith, and the sincerity of his convictions, I’m heartbroken. What can be heard on the highlights video doesn’t reflect the values or beliefs of the young man that I’ve come to know.